This year’s annual big event of Apple Worldwide Developer Conference is going to be held next week on June 8 2016 Monday in Moscone West, San Francisco, USA. Many new products and services are expected to be announced at WWDC 2016 Keynote. So if you're Apple fan and interested to Watch WWDC 2016 Live Video Streaming, then you can officially Live Stream WWDC 2016 on iPhone, iPad, iPod touch, Mac and Apple TV powered by iOS firmware, OS X software and tvOS. Android smartphone and tablet device and Windows PC and laptop powered by Windows 10 can also Stream Live WWDC 2016 through Apple’s HTTP Live Streaming (HLS) technology. 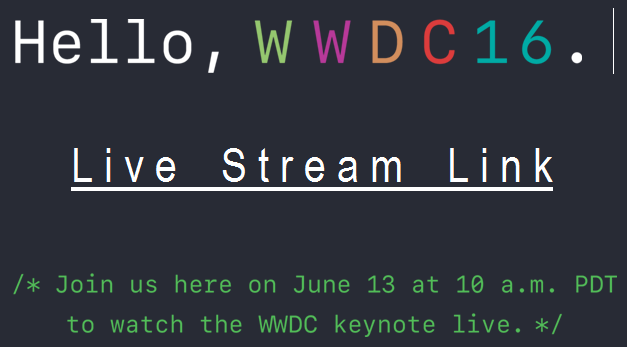 Following hardware and software are compatible and supported to remotely Watch WWDC 2016 Live Event using Online Steaming Link shared by Apple for general users, developers and event followers. Apple iDevices: iPhone, iPad and iPod touch powered by iOS 7.0 or latest firmware version with Safari application. Apple TV: 2nd, 3rd or 4th Generation Apple TV powered by tvOS 6.2 or newest software version. Mac Devices: Powered by OS X 10.8.5 or later running web browser Safari 6.0.5 or later. Windows PC: Powered by Windows 10 with Microsoft Edge browser installed. Android Devices: VLC media player application installed. How to Live Stream WWDC 2016 on iPhone, iPad, iPod Touch and Mac? You can Watch WWDC 2016 Keynote Live on June 13 2016, Monday at 10am PDT or 1pm EST by following official Apple website url link provided below on your respective devices. 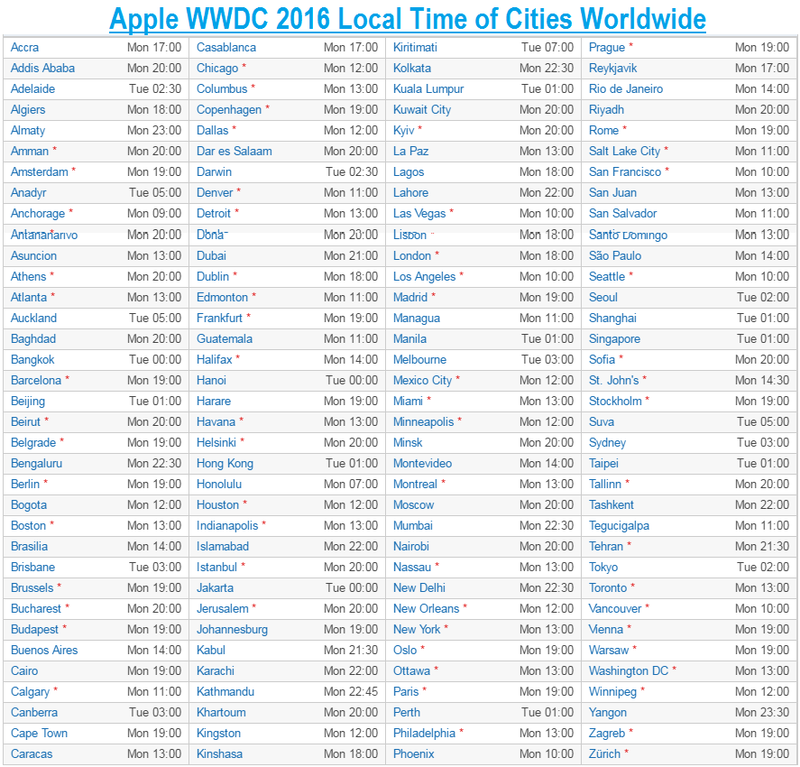 How to Watch WWDC 2016 Live on Apple TV? Step 1: Navigate to Settings > General > Software Updates and Click on Update Software. Step 2: Go to your Apple TV main screen and press Apple Events app with WWDC 2016 logo to install it automatically. Step 3: Now at main WWDC 16 event, just press Play button to begin live streaming. How to Stream Live WWDC 2016 on Windows PC and Android Phone? If you own any of the non-apple smartphone, tablet, computer or laptop device, then follow our guide to Watch WWDC 16 Live. Step 1: First, download and install VLC media player on your respective device. Step 3: Click on Play button on main event day/time to stream live apple event. Apple iPhone, iPad and iPod touch users can also Download WWDC 2016 App on iOS firmware for Free via iTunes to get all latest updates, sessions, happenings, announcements, videos, and keynote about the expected releases i.e. iOS 10, macOS, watchOS, tvOS, Apples Music, Apple Pay etc. Follow us at WWDC 2016 to keep yourself updated!